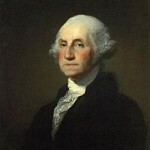 George Washington was inaugurated President of the United States in 1789 in New York City. Idea: Present Presidents are inaugurated in January in Washington, District of Columbia. Children could try to figure out why George Washington’s inauguration was in April (instead of January) in New York City (instead of Washington, DC). They could also read a transcript of his speech at: http://www.archives.gov/exhibits/american_originals/inaugtxt.html. 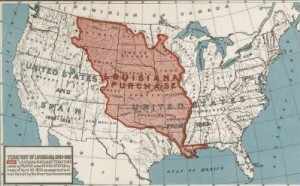 Louisiana Purchase was finalized in 1803, doubling the size of the United States. Children could learn more at: Louisiana Purchase. Louisiana became the eighteenth state of the United States in 1812. It ranks thirty-first in area and twenty-first in population. The state was named after King XIV of France, and Baton Rouge is the capital. Children could visit a website at: Louisiana. Idea: New Orleans, a major city in Louisiana, hosts Mardi Gras every year. Mardi Gras, meaning “Fat Tuesday,” is a big tradition held the day before Ash Wednesday. Parades, parties, and feasts mark the day. Consider having a Mardi Gras celebration in the classroom. Mary Scott Lord Dimmick Harrison (born Honesdale, Pennsylvania, 1858; died New York, New York, January 5, 1948) was the second wife of Benjamin Harrison, twenty-third president of the United States. She married Harrison after he left the White House. Dorothy Hinshaw Patent (born Rochester, Minnesota, 1940) has written over 100 nonfiction books for children. Her books include Big Cats and The Right Dog for the Job. Children could visit her website at: Patent. Michael J. Smith (born Beaufort, North Carolina, 1945; died January 28, 1986) was captain of the Challenger, the space shuttle that disintegrated in 1986.